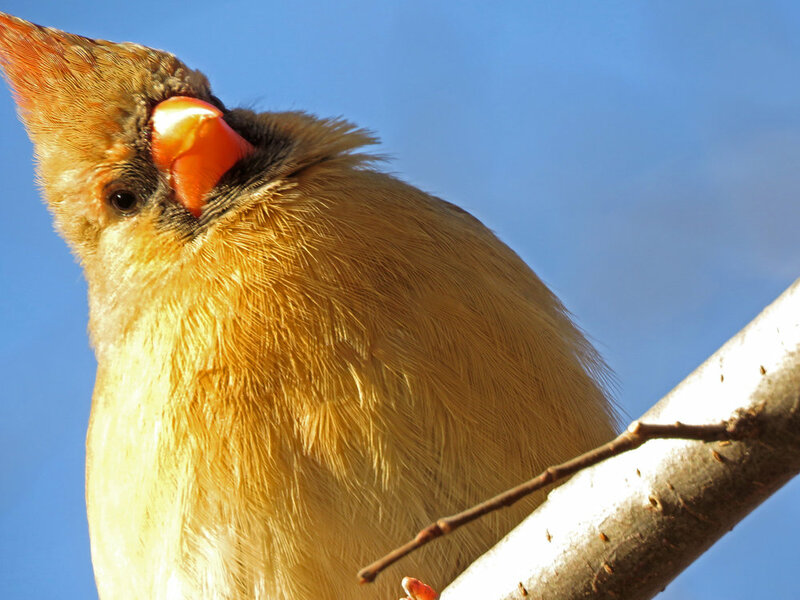 Laurie Spitz was indeed a rare and radiant spirit — ask any of the cardinals, titmice, and sparrows who would greet her, chirping and flying ahead of her when she walked in. Twice a day, no matter the weather, she would arrive to give these hungry birds peanuts and bird seeds. I remember seeing her during some of New York City's worst blizzards, when I would run into her in the Ramble and we would offer the birds a little nourishment to get through the storm. The birds fed Laurie's soul as much as she fed their feathers. They knew her, and counted on her. And she counted them, letting me know each time I met her if she'd seen fewer or more cardinals than she had the day before. Laurie and I shared the absolute joy and wonder that comes from making sure the birds in Central Park have nutritious seeds to help them get through tough times in an artificial environment. We shared the wonder of having a hungry titmouse or sparrow alight on our hands to choose a seed. We took pleasure in a tradition of feeding birds and squirrels that has existed ever since people first sat on a park bench. 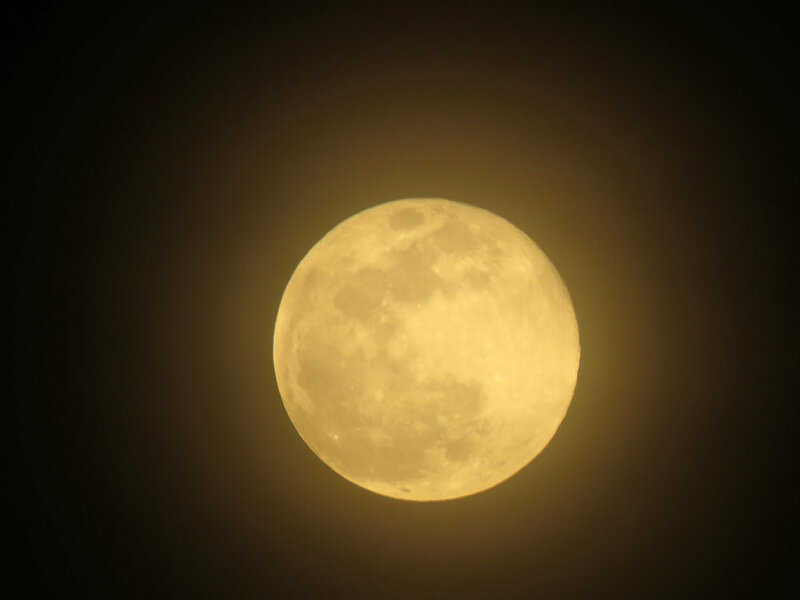 It is a tradition that connects us in a spiritual way to nature and helps us navigate the often hectic and distressing world outside the parks. I have seen the joy on a child's face as she is encouraged to feed a duck at the Pond. I have seen the love radiate from the park regulars who toss peanuts to the squirrels in the Ramble. But now the New York City Department of Parks and Recreation wants to change the Rules of the City of New York to make what Laurie used to do and what I and so many other people do every day — feed the squirrels and birds — a violation subject to a fine and possibly a day in jail. * I truly despair that there are people in the department who look at me when a bird takes a seed out of my hand and sees someone to be punished along with public defecators and urinators. (g) Abuse of park animals. (1) Except, pursuant to a permit for trapping issued by the Department, no person shall molest, chase, harass, injure, wound, trap, hunt, shoot, throw missiles at, kill or remove any animal, any nest, or the eggs of any amphibian, reptile or bird, or otherwise harm or intentionally take actions that could reasonably harm any animal, nest, or such eggs. Further, no person shall knowingly buy, receive, have in his or her possession, sell or give away any such animal or egg taken from or killed within the jurisdiction of the Department, including any zoo area. Violation of this paragraph constitutes a misdemeanor. (2) No person shall feed animals in any park (including any zoo area) except unconfined squirrels and birds, and where specifically authorized by the Commissioner. The Commissioner may also designate certain areas where all feeding of animals is prohibited. It shall be a violation of these rules to feed animals in any area where such feeding is prohibited. The change requested is the removal of the words “except unconfined squirrels and birds.” It is clear that this rule change is intended to stop the feeding of birds and squirrels, since the feeding of all other animals is already prohibited. It is also clear that the word change is unnecessary, since the Commissioner can now prohibit all feeding in designated areas. It must be noted that I have received information from others, including a representative of the Parks Department Wildlife Unit, that the feeders in Central Park at Evodia Fields as well as feeders in other city parks will be exempted from this rule change. If so, why is this rule change necessary? Blanket rules with exceptions are unenforceable and more harmful than useful. This proposed rule change is unnecessary and should be denied. The NYC.gov Web site offers the following objections to feeding birds and squirrels in our parks. I offer my response below each objection. Obviously, if you prohibit feeding squirrels, you are reducing the food sources for the “other rodents” (squirrels, after all, are rodents, also known as “bushy-tailed rats”). When you feed a squirrel a peanut, odds are that that squirrel will eat it or store it. It is highly unlikely that the squirrel will share that nut with a rat. 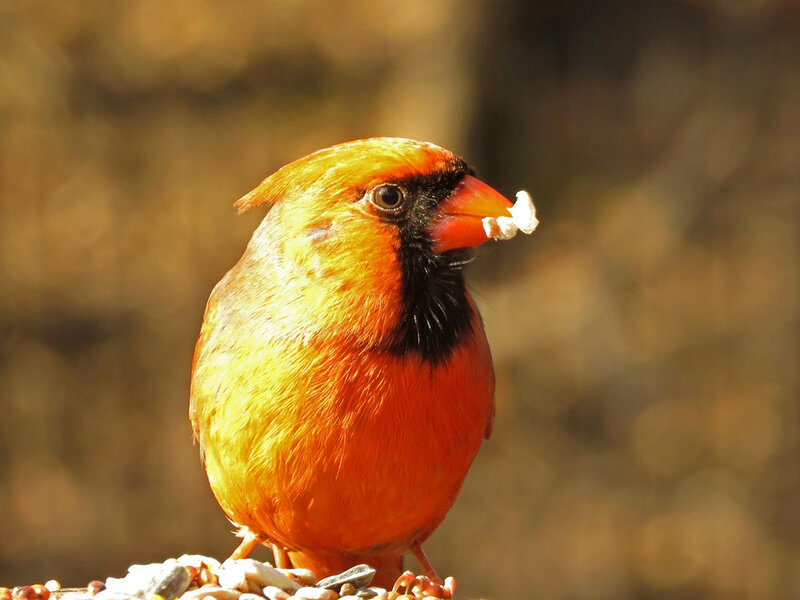 The Parks Department offers no studies or science to support the assertion that eliminating bird seed and peanuts will reduce the rat population by any significant amount. Feeding bird seed to birds or peanuts to squirrels is not providing the bulk of the food sources for the rats. The biggest food sources are the trash and food brought in by humans for humans and their dogs, and the incredible resourcefulness of rats, animals that will find food to survive, with or without bird seed and peanuts. 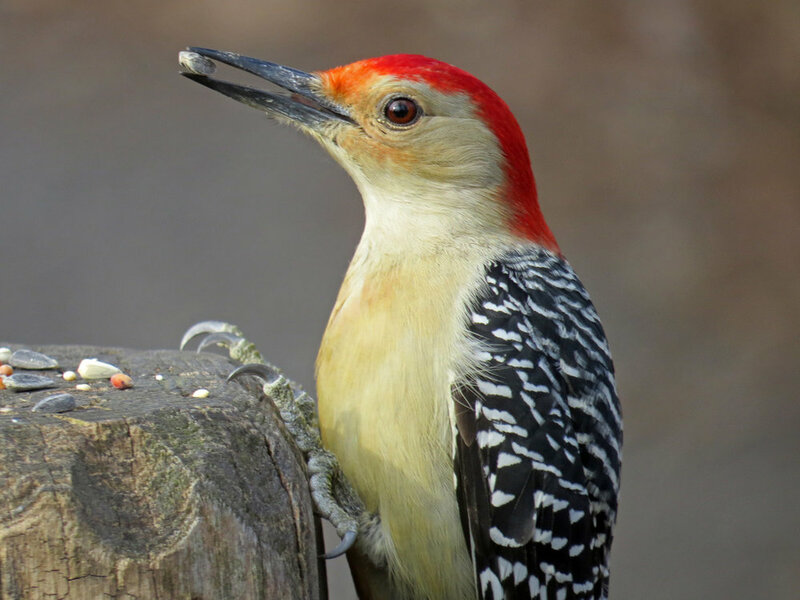 A visit to the feeders in Central Park will show that that area is not more infested with rats than other areas, but it is heavily frequented by birds and squirrels. Unless the department can show that the bird seed and peanuts at the feeders are drawing more rats than the areas of the park without feeders, this objective is not supported by studies or documentation. I have observed that before the recent renovation of the Laupot Bridge area, there were very few, if any, rats (in fact, a chipmunk had seemed to take up residence in the area, which doesn't happen when there is a predominance of rats). After the renovations, the rats took over. The same can be said about the area around the bridges at the Loch and Ravine in the North Woods. Disturbance of the ground, and therefore increased opportunity for rats to create their underground nests, seems a more reasonable reason for any increase in rats. Again, is it suggested that feeding birds and squirrels leads to “harmful interactions with animals” in the parks? While I agree that feeding the raccoons does lead to these animals coming closer to humans, the feeding of raccoons is already prohibited by the rule now in existence. So the animals referred to by this rule change are squirrels and birds. And what constitutes a “harmful interaction with animals”? Is a pigeon landing on my shoulder to get a seed a “harmful interaction”? Or is it harmful only if it lands on a tourist's shoulder and the tourist complains? Or are you talking about the squirrels, who will nip at the finger of those silly tourists who put out their hands to harass the squirrels without offering any food to the animal? I agree that animals, especially many of the dogs and humans I've encountered in the parks, who exhibit aggressive behavior in the parks should be removed and tested (however, I do not propose having them lethally removed, as that might be a bit excessive). Huh? How is prohibiting the feeding of birds and squirrels raising public awareness about urban wildlife? Certainly arresting or fining a parent for teaching a child that it is better to feed the ducks than to throw rocks and sticks at them will not raise public awareness about urban wildlife. What will really raise public awareness is education, something the Parks Department and the Central Park Conservancy seem unwilling to commit the resources to. The Central Park Conservancy fired the Discovery Guides who used to go around the park educating people about feeding bread to the ducks and birds and warning about getting too close to the animals. Banning the feeding of birds and squirrels will only raise awareness of the mean-spiritedness of park officials. What science does the Department of Environmental Conservation provide that feeding the birds and squirrels “disturbs the healthy balance between wildlife populations and their habitats”? The studies I have read (for example, see Analysis: Do Bird Feeders Help Or Hurt Birds? 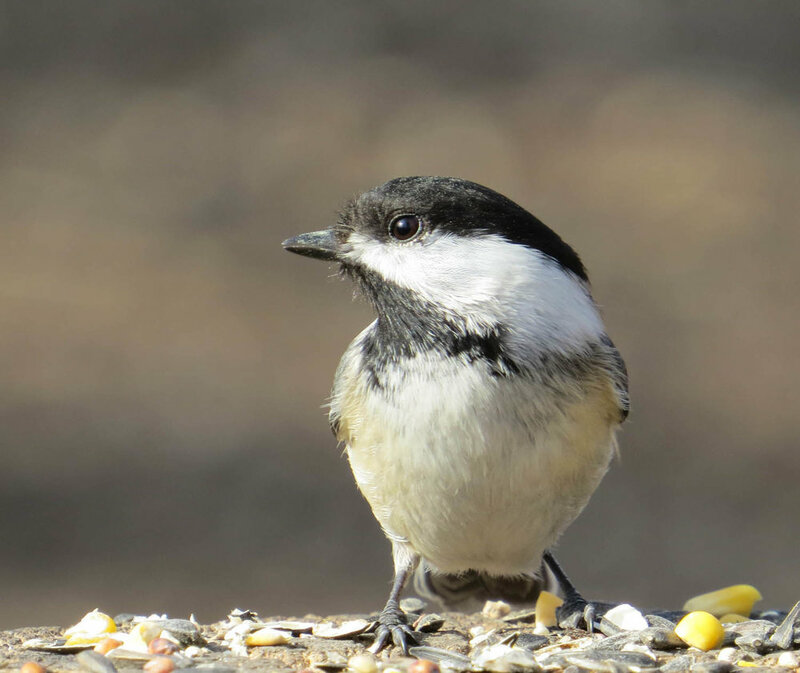 on the Cornell Lab of Ornithology site and When It's Okay (or Not) to Feed Birds on the Audubon site) suggest that feeding the birds is more helpful than harmful. But don’t take down your feeders in despair. 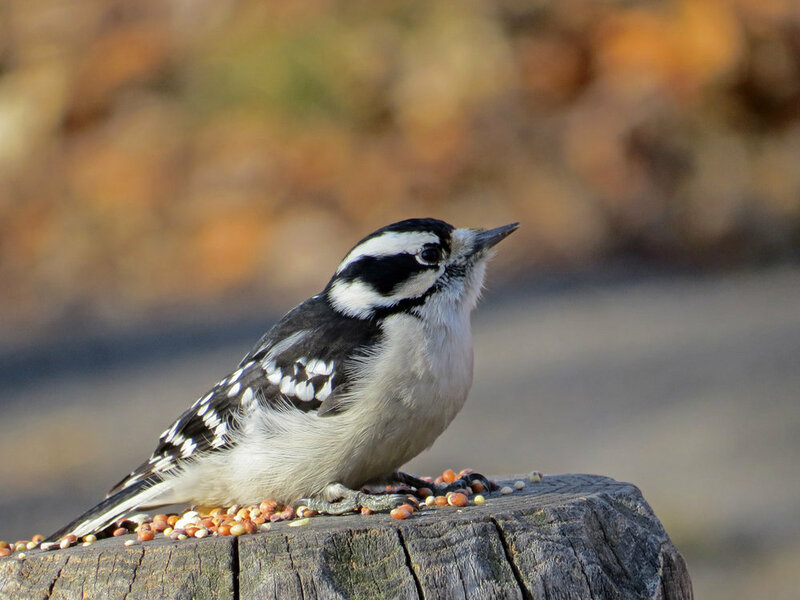 One of the most important impacts of feeding birds is that it allows people to feel connected to the natural world. Again, huh? What science or evidence is provided to support this claim? The feeding of raccoons is already prohibited, so why bring them up? Using the raccoons to attempt to ban the feeding of squirrels and birds is an insulting scare tactic showing the lack of any real argument by the rule proposers. And I am insulted by the suggestion that the bird seed and unsalted peanuts I give to the birds “may be contaminated with feces, saliva, and urine.” The canine distemper outbreak may have resulted from raccoons congregating around food sources, but raccoons are social animals who congregate naturally, whether fed by humans or not fed by humans. Our park raccoons exist in an artificial environment, and these animals will seek food wherever they can. 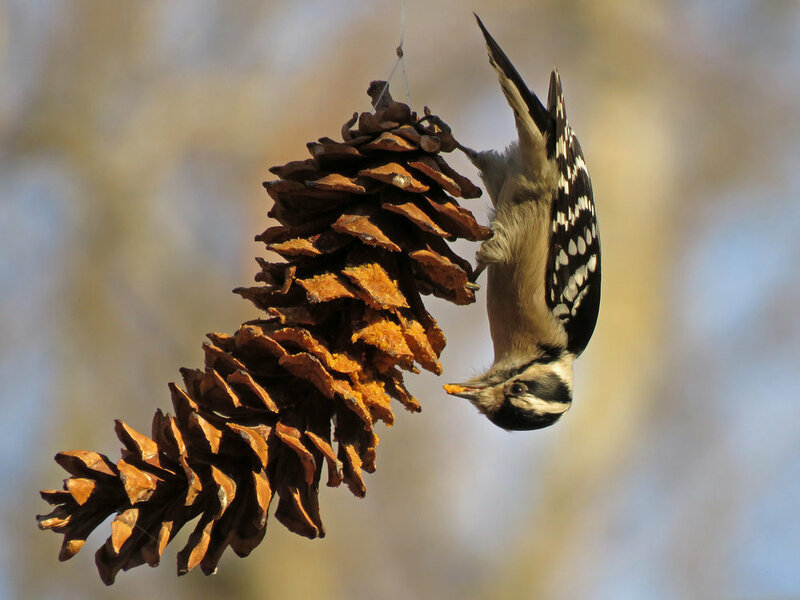 While it has not been determined what introduced the distemper into the parks system, it probably was not urine-infested bird seed. If the argument here is that feeding bread to the wildlife is not good, that is true. But this rule change goes beyond the feeding of bread and non-nutritious food. It prohibits the feeding of squirrels and birds, period. If you want to stop people from feeding harmful food to the ducks at the Pond, have park rangers or employees there to give people information about why bread does not provide the nutrition the ducks need and tell them what foods are better (see 3 Reasons Why You Shouldn’t Feed Bread to Ducks). The rangers can also encourage people to refrain from feeding the ducks altogether, offering science-based information, and to watch the ducks from a distance. That would make for an educational session rather than the punitive situation this rule change will promote. So the reason to prohibit my interaction with nature is to ease the maintenance burden of parks staff? Shouldn't the parks staff be following the tourists and dog walkers and bike riders around, rather than giving tickets to people who are feeding the birds? The responsibility for maintaining a “safe and clean environment” for park patrons will not be aided by requiring them to monitor people who feed the birds and squirrels. It will be aided by enforcing the off-leash dog rules, the “no bikes in the Ramble” rules, and rules that prevent people from injuring other people and the wildlife. I think the used condoms at Laupot Bridge are more a threat to a “clean environment for park patrons” than the sunflower seed shells that might be lying around. 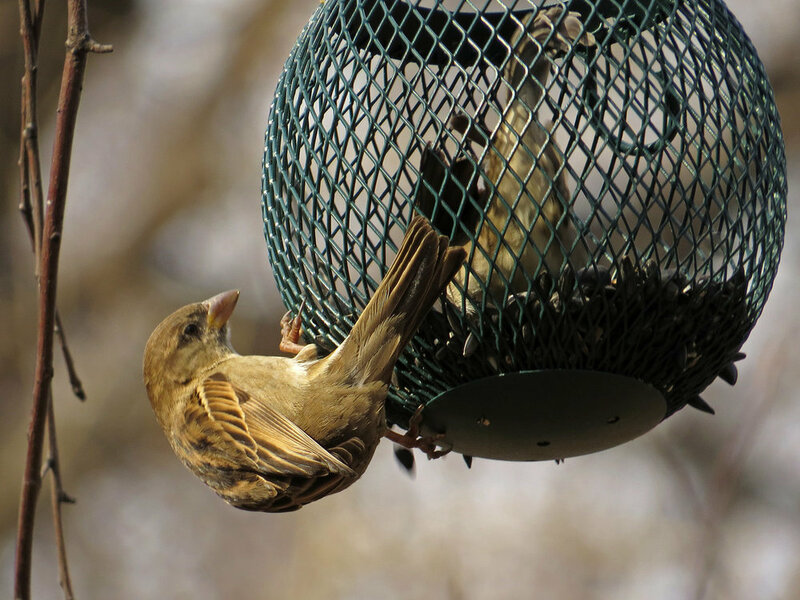 How will grandfathering in the bird feeders “promote compliance”? It will actually encourage further noncompliance. The addition of another prohibition will not “promote compliance,” but will instead encourage my noncompliance when I can no longer stand missing the joy of a bird landing on my hand or the sight of Woody swimming toward me as I approach the Pond. 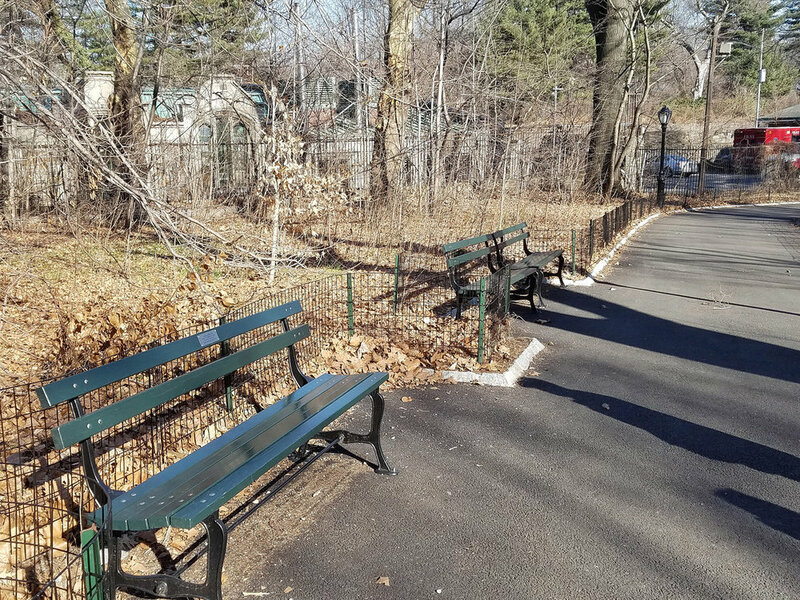 The exceptions in the NYC Parks rules are driven by politics and money, not science or studies. There is an exception for “unconfined squirrels and birds” for a reason, which apparently the Parks Department has now forgotten. People take great joy and satisfaction from interacting with the squirrels and birds in an artificial environment that does not provide the food necessary for the animals to survive. As long as exceptions by the Commissioner are allowed, nothing is clarified whatsoever. If you look at the park rules, you will see that they allow unleashed dogs in city parks “from the park’s opening until 9:00 A.M. and from 9:00 P.M. until the park closes,” even though often these unleashed dogs are harassing park wildlife, defecating on park grass (which will later be sat on by park goers), and endangering many elderly park goers by jumping on them and possible causing them to fall. But this exception is allowed because the dog owners have convinced the Parks Department that this exception is needed, even though it encourages people to have their dogs unleashed at all times in the parks. Why are the rights of dog owners more important than my right to enjoy park wildlife? Why do dogs get an exception, yet the department wants to remove the exception for birds and squirrels? If this rule is passed, and I despair that it will be because I have been to enough public hearings to know that most of these hearings are pro forma and that the change requested will happen no matter what I or any other people say, I will await evidence that it is enforced evenly. Will tourists be given tickets at the Pond for feeding Mandy the Mandarin Duck bread, or will park enforcement officers give tickets only to New York residents like me who are feeding the ducks nutritious food? I suspect that tourists will never get tickets. I have also read (Feeding Squirrels, Birds in NYC Parks Could Soon Be Banned) that Richard Simon, director of the Parks Department’s Wildlife Unit, has said, “Don’t expect us to be rushing out there blitzing the city with summonses.” I question this assertion, since even before the rule has been changed, officials have ticketed one woman at the Pond and threatened another woman at the Conservatory Pond with a ticket for feeding the birds. The Conservancy has signs printed and ready to hang around the park. I began feeding the animals many years ago after I became acquainted with Woody Wood Duck at the Pond. He likes sunflower seeds especially, and when I call “Woody! Woody! Woody!” he swims to me and squeaks his pleasure or displeasure at my offerings. He doesn’t always want the seeds I bring, but he recognizes me and interacts with me because on horrible snowy or rainy days, I have been there to make sure he had enough food to survive another day. Woody doesn’t need the food I give him. He leaves in March to breed outside the park, and returns in June to molt. He is capable of finding the food from the environment that he needs to survive. But he seems to me to need the interaction with the people who visit him, much as I need the interaction with him. We are living beings who share the earth, and I think we both benefit from our communion. What will I do if this rule is passed? Can I go to the Pond and have Woody approach me and not be able to give him seeds? Can I walk through the Ramble and not feed the hungry birds? Or will I become another one of the many rule-breakers in the city’s parks who believe that the rules are stupid and don’t apply to them? I hate those people. I don’t want to be one of them. Does this mean I will no longer enjoy going to the city’s parks? I suspect that is exactly what will happen. My ability to pay the birds “photo fees” has helped me photograph so much of the wildlife in the park. The Central Park Conservancy is promoting the Mandarin duck at the Pond, celebrating the duck even though it is a released animal that was raised as a captive bird fed by humans. Would Mandy be at the Pond if people did not feed him? I doubt it. Shouldn’t the effort be made to ensure that what Mandy is fed is nutritious, rather than punishing the people who are really concerned about the duck’s health? A hearing will be held tomorrow, March 1, on this proposed rule change. I fear that the rule will pass, but I will be there to add my objections in the hope that a public hearing actually still means something in this city. I hope you will join me, 12 noon, in the NYC Parks hearing room at the Pelham Fritz Recreation Center, 18 Mount Morris Park West New York, NY 10027. So our fickle New York City media have decided that Mandy the Mandarin Duck (Aix galericulata) is the "most handsome" duck around and worthy of a spot on the local CBS news and in other media outlets (including The Times). 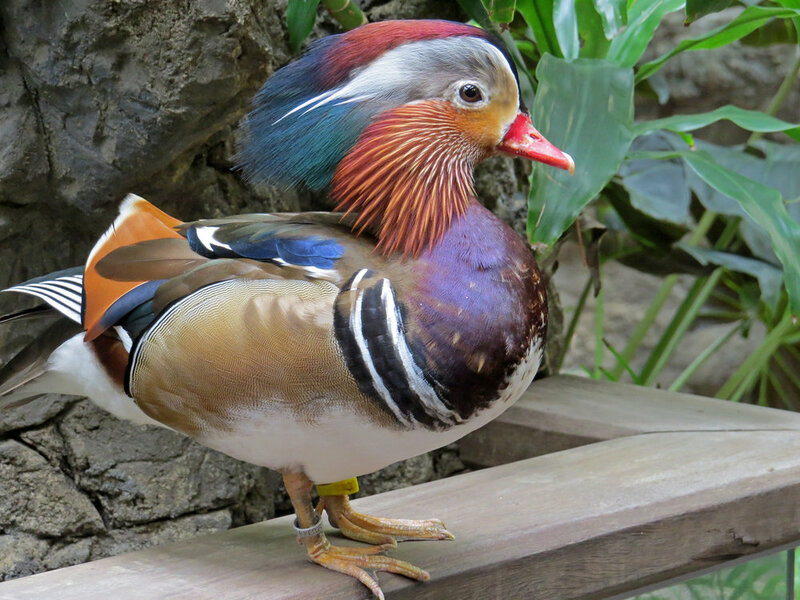 Mandarin and wood ducks are the only two members of the Aix genus, which apparently denotes the most handsome ducks in the world. I agree that Mandy is very striking — one might even call him the Taylor Mac of the duck world — but I wouldn’t go so far to say he is the most handsome! As you can see from these side-by-side photos, Woody still rules the Pond! The Filming the Feathers video shows both Mandy and the Central Park Mandarin duck, and is set to music by Keven MacLeod and Shane Ivers.